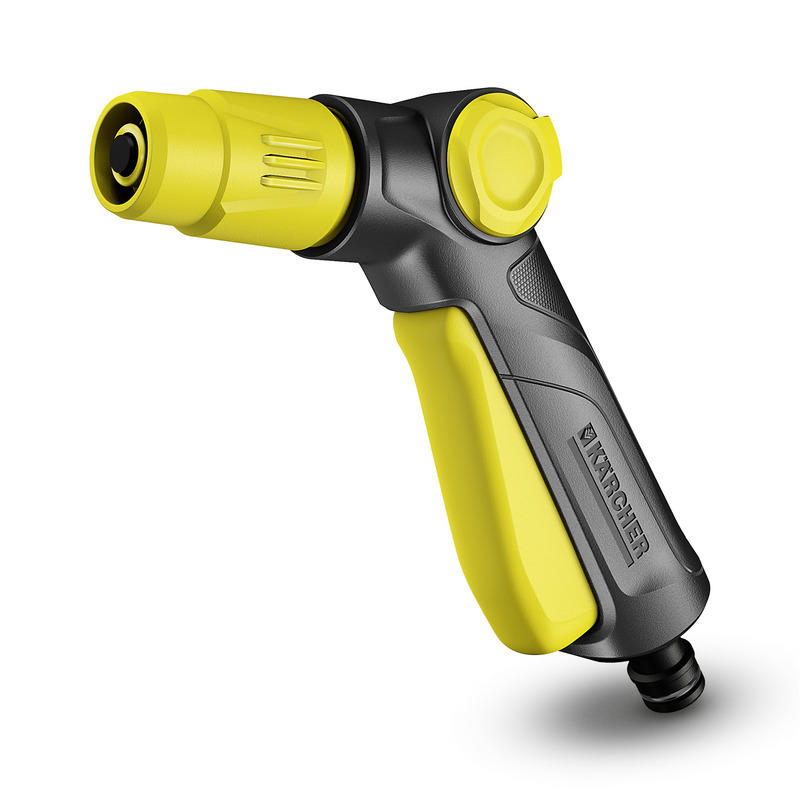 Spray gun 26452650 https://www.kaercher.com/my/home-garden/watering-systems/nozzles-and-spray-lances/spray-gun-26452650.html The ideal entry-level spray gun. With lockable trigger for comfortable watering in the garden. 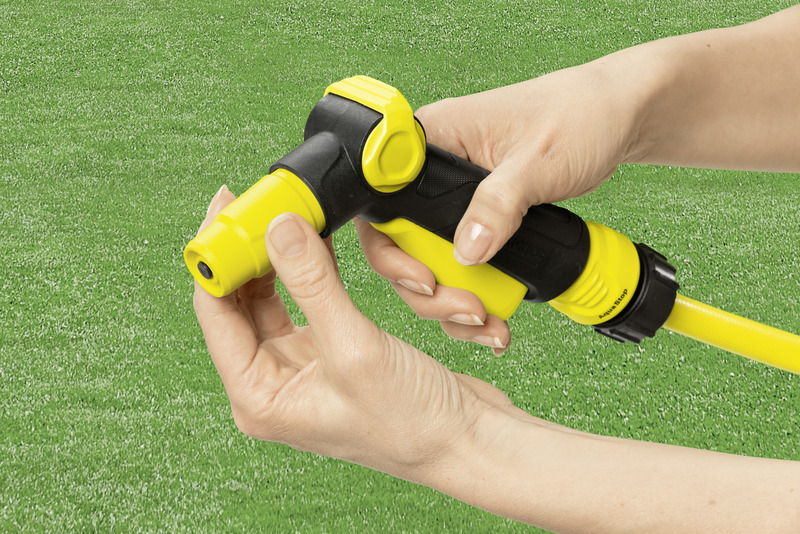 Quick and easy to connect to the garden hose. The ideal entry-level spray gun. With lockable trigger for comfortable watering in the garden. Quick and easy to connect to the garden hose. The spray gun makes garden watering especially convenient. Thanks to the lockable trigger with lock function, the water flow in the garden nozzle can be constantly maintained – without the need for constant pressure. Using the control valve, which can be operated with one hand, the water flow can also be adjusted according to requirements. The spray gun features 2 spraying patterns: point and cone jet. These can be continuously adjusted according to requirements. 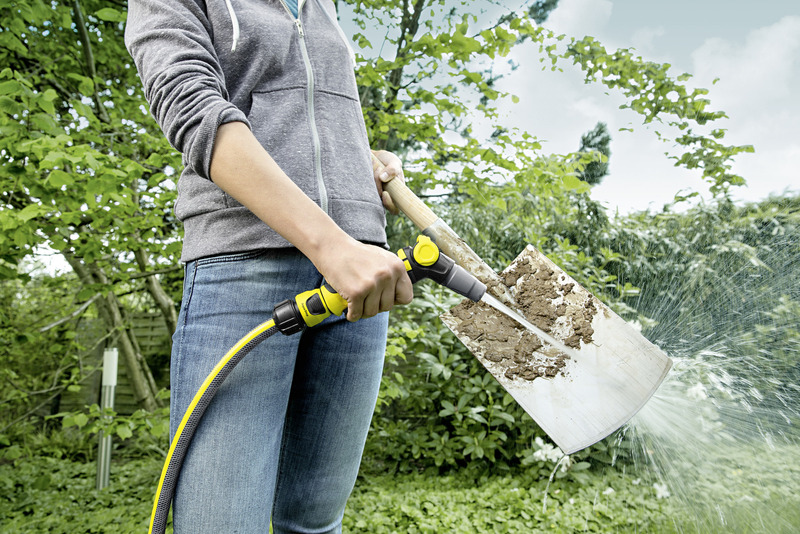 Flower and plant beds can be easily watered, and terraces or garden furniture can be cleaned of coarse dirt using the point jet. This makes the spray gun perfect both for watering and cleaning tasks. By the way: Nozzles from Kärcher are compatible will all available click systems and can be connected to your garden hose without any problems. Regulation of the flow rate with one hand. For convenient and continuous watering. Optimum protection against frost damage.